A jawbone from a man who lived in Romania about 40,000 years ago boasts the most Neanderthal ancestry ever seen in a member of our own species. The finding suggests that interbreeding with Neanderthals occurred much more recently than previously known. Previous studies have shown that most people living outside sub-Saharan Africa today have about 1 to 3 percent Neanderthal DNA. But the latest study, published in the journal Nature, traced 6 to 9 percent of the Romanian man's genome to a Neanderthal ancestor. "We show that one of the very first modern humans that is known from Europe had a Neanderthal ancestor just four to six generations back in his family tree," geneticist Svante Pääbo of Germany's Max Planck Institute for Evolutionary Anthropology said. "He carries more Neanderthal DNA than any other present-day or ancient modern human seen to date." The study indicates that our species, Homo sapiens, interbred with Neanderthals in Europe as well as in the Middle East, Pääbo said. Previous research suggested that this interbreeding occurred no later than 50,000 to 60,000 years ago. 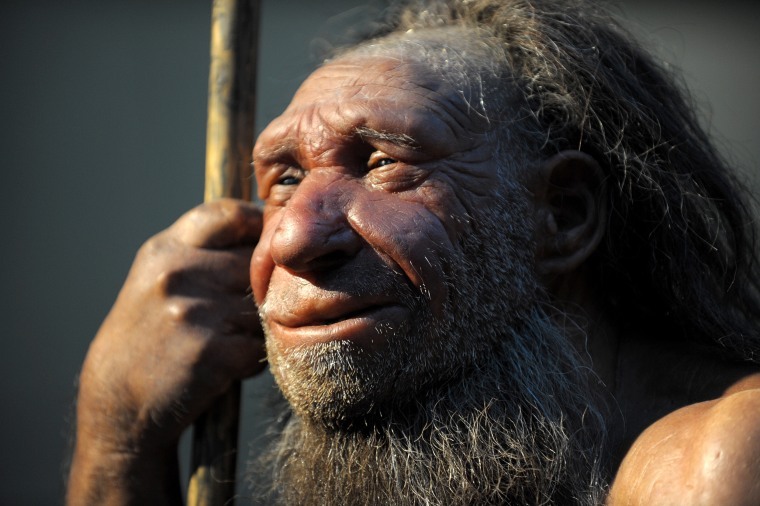 Neanderthals are thought to have gone about extinct 39,000 years ago. The lower jawbone was found in 2002 in Oase Cave in southwestern Romania. Previous attempts to extract DNA were unsuccessful, but recent technological advances facilitated the new findings.